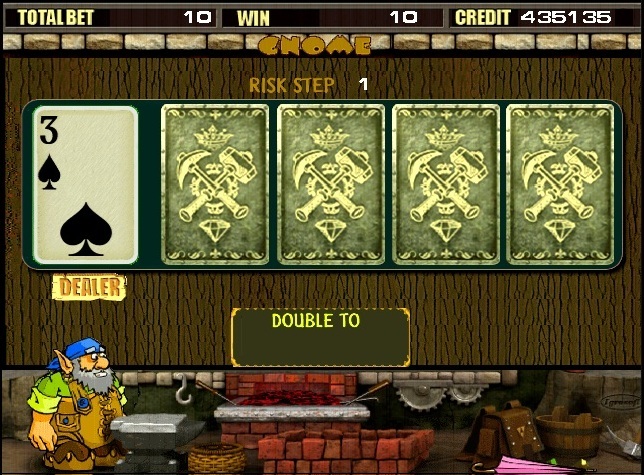 GNOME is a video slot game on 5 reels with the opportunity to increase the win in the risk game, and get additional wins in the super bonus and bonus games. The main game - you can choose the number of lines from 1 to 9 and bid on the line from 1 to 25 (when the default). Three or more identical subject lines provide benefits under the table, which can be found by pressing the button HELP. 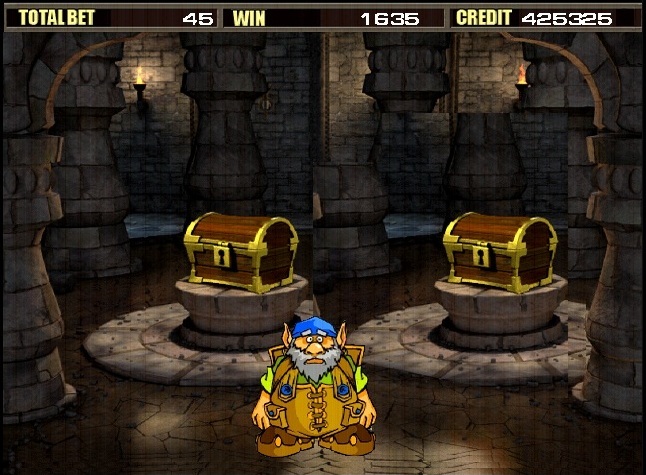 If the rate is more than a certain minimum, the umbrella appears, which helps to pass a bonus game. 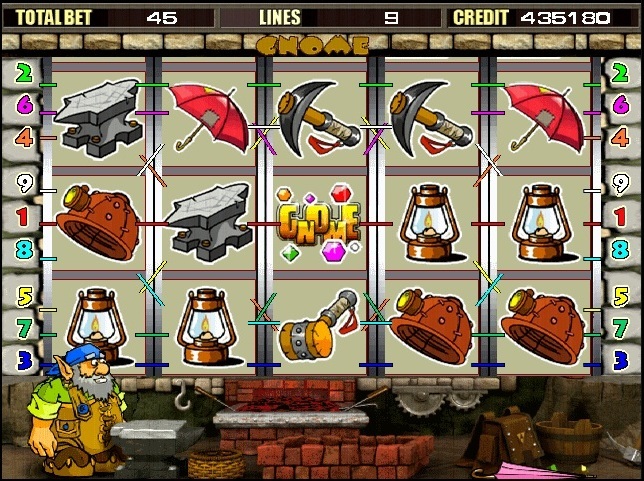 As a bonus game player may at any sequence flip trolley with precious stones, for which the prize is given, measured in full-time and displayed on the ground stone. Dirt in trolley ceases bonus, unless the umbrella is used. After the first use of an umbrella, it disappears. 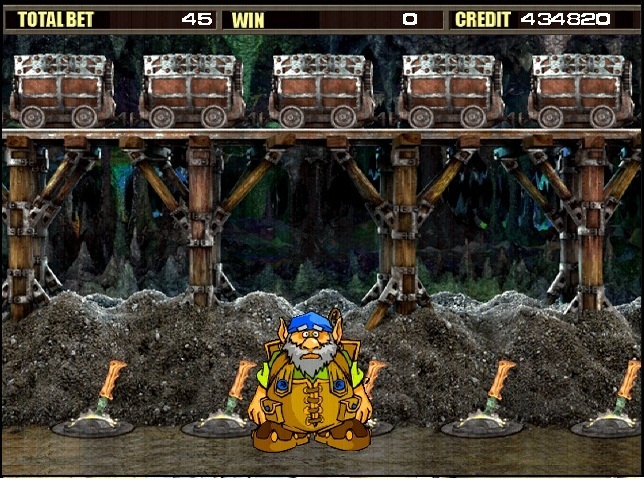 Super bonus game starts, if in the Bonus all trolleys were turned and the gnome was not spoiled in mud. The goal of the game - to find a treasure chest. In that case, the fortune prize will be from 50 to 500 full rates.